Feel confident in the gym and in your body. Want to be lean and strong? Learn how to lift in our Women and Weights 6 week program. You’ll learn how to incorporate weight training into your fitness routine with a small group of like-minded women. No experience necessary – all-star personal trainer Alicia (photo above) will teach you the essentials, proper form and technique so that you can safely continue weight lifting and feel confident in any gym. She’ll also incorporate Functional Movement Systems and offer a well rounded education encompassing fitness and the gym. “Weight Training” isn’t just deadlifts and bicep curls. 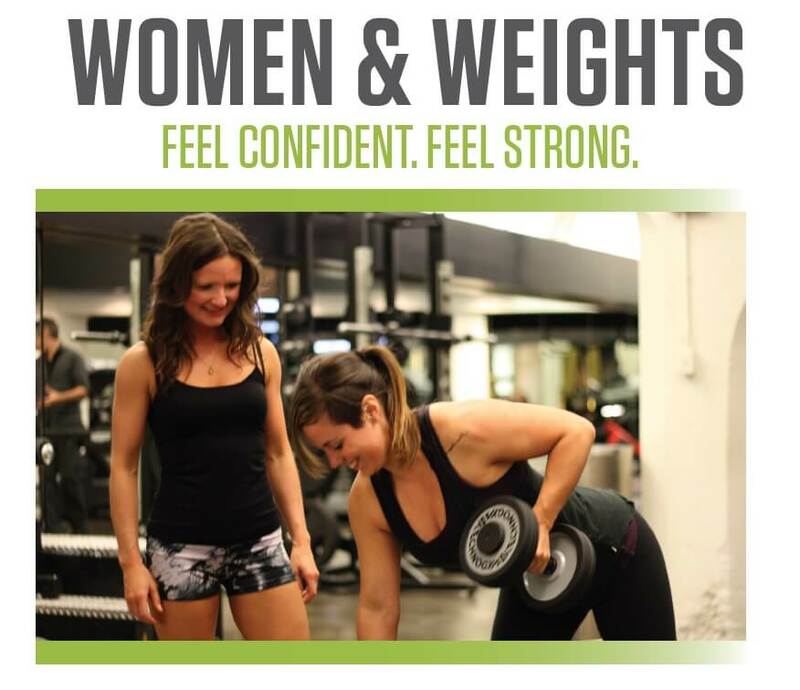 For those of you who feel comfortable around weights, we are offering an Advanced class! Let Alicia help you get over that plateau, learn new techniques and take your training one level further. At the end of this program you’ll have the essentials of weight-lifting with the confidence to continue a routine you’ll want to keep up!